The new 'mark' rule will come into effect in gaelic football on 1 January of 2017, the GAA's Central Council announced on Saturday. The rule change was passed with 68% support from delegates at last month's annual Congress although it has not met with approval in many quarters. 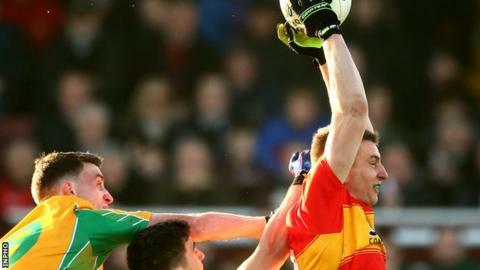 GAA bosses hope that rule change will lead to more high fielding in the game. The Central Council also decided to scrap the semi-finals in Division One of the Football League from 2017. Instead, the two top teams after the round-robin stage of fixtures will meet in a straight Division One final. The GAA plan to have more weekends in next season's leagues when both football and hurling will be played.